Visit boxed.com/rethinkpink to learn more! Helps keep you 5X drier (vs. Always Thin) and absorbs leaks and odors in seconds. Soft cover feels comfortable against skin and stays comfortably in place with Edge-2-Edge adhesive. • Always Daily Liners absorb leaks and odors in seconds. 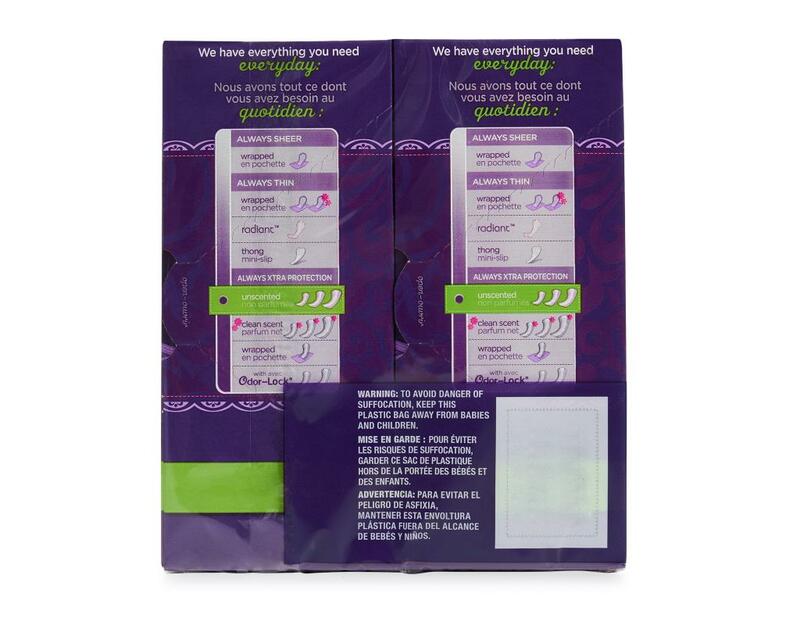 • Edge-2-Edge Adhesive helps keep the liner in place for stay-put protection. For Xtra Protection every day of the month! 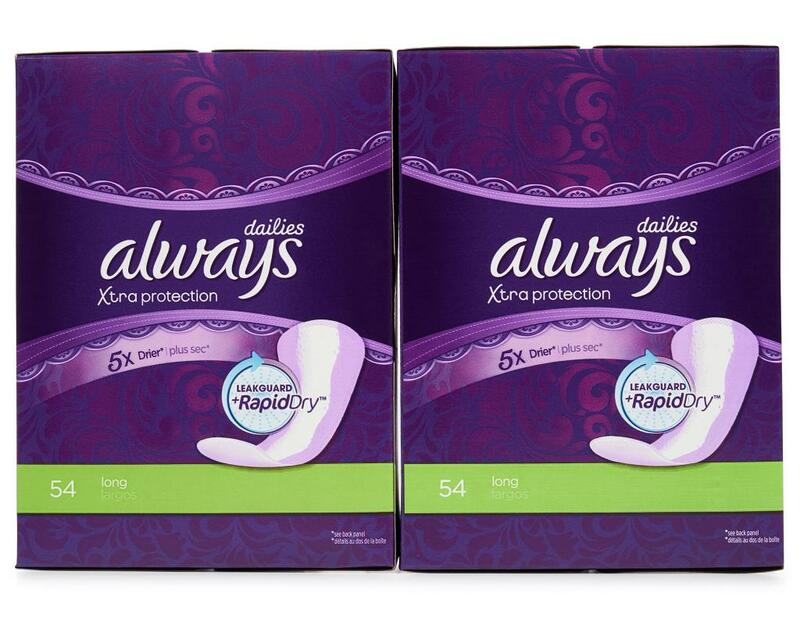 Always Xtra Protection Dailies Liners keep you 5X drier. 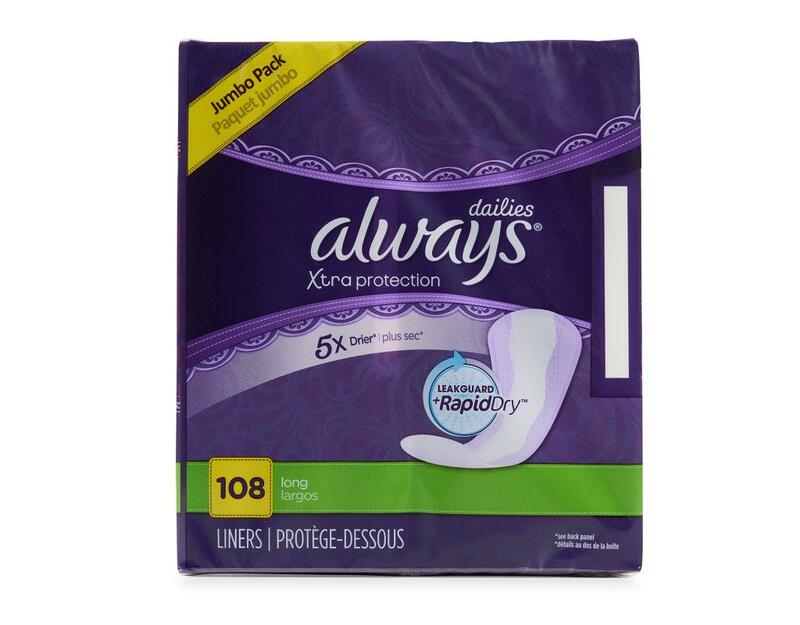 Always Xtra Protection Dailies Liners help you feel clean and comfortable, thanks to an extra-absorbent LeakGuard Core + RapidDry. And Edge-2-Edge Adhesive helps keep the liner in place for stay-put protection. 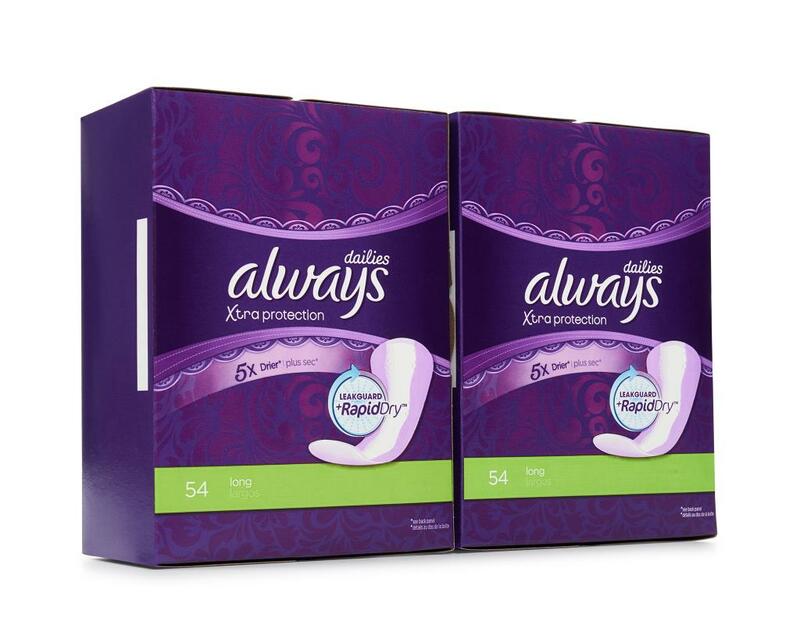 For feminine protection you can trust every day of the month, try Always Xtra Protection Dailies Pantiliners.